Café Bistro is a hidden gem located on the top floor of Nordstrom in the Gardens Mall. While the mall isn’t the first place I think of to grab a meal, Cafe Bistro stands out as a winner. It’s the perfect blend of casual but classy and a fairly quick stop for a nice lunch. The atmosphere is perfect for girls lunch (or day) out. Part of the casual feel is the ordering process which is counter order with table service. But once seated, it has an upscale feel. 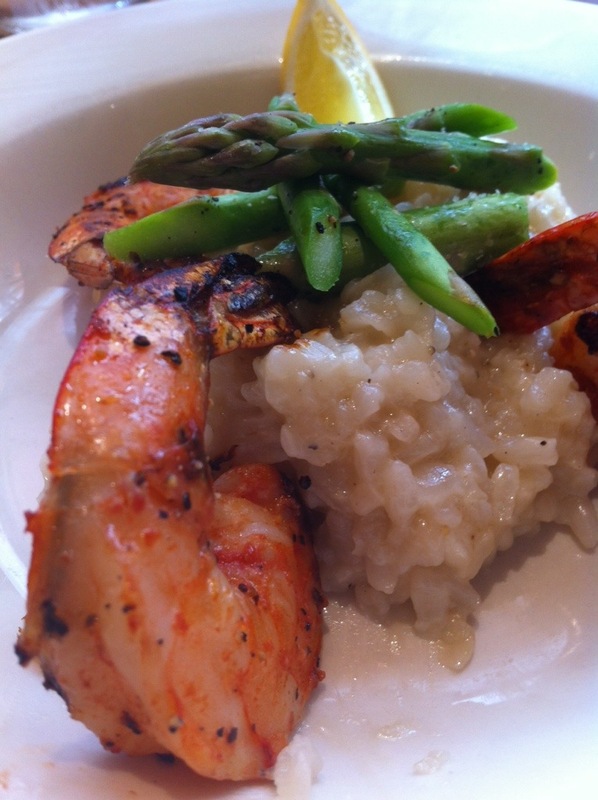 On this particular visit, I shared the Prime Rib French Dip and the Grilled Shrimp and Asparagus Risotto. I’m a sucker for a good French Dip and theirs is pretty tasty. The meat is cooked nicely and I love the horseradish cream with the jus. Their Pomme Frites fries are shoestring which is my fav and very flavorful. The risotto was lemon-y and creamy, creating the perfect bed for the large pink shrimp and crisp green asparagus. The dish was light and refreshing and paired well with our Sauvignon Blanc. The major appeal of Cafe Bistro is the great mall location, which is convenient whether or not you are planning a day of shopping. The service is quick and friendly and the food is elevated in comparison to other quirky lunch spots. They are also open for dinner and I love their Champagne Vinaigrette that they sell. 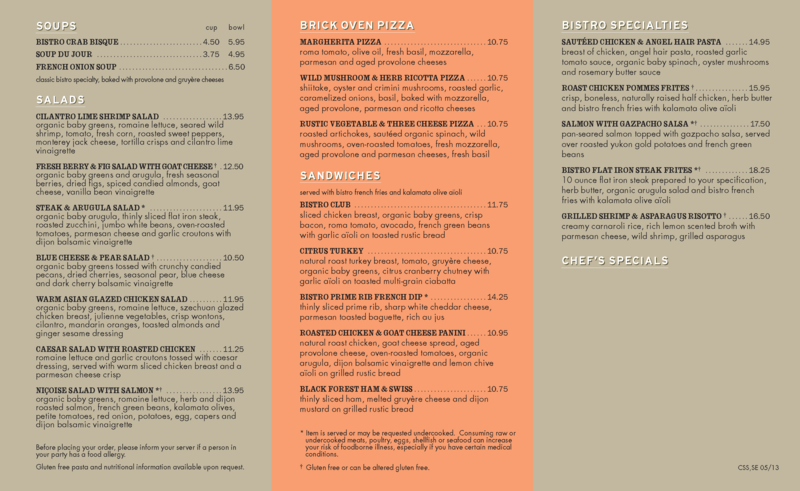 The menu features a handful of soups, salads, sandwiches, pizzas and entrees to choose from.